With inspiration from Scandinavian, this outdoor bench is easy and relaxed in its style. 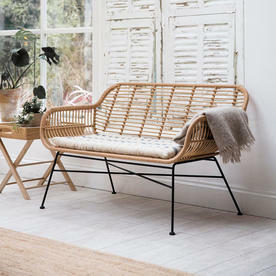 This Scandinavian inspired bench perfect for use on a small open patio, decking area or in a summer house or garden room. 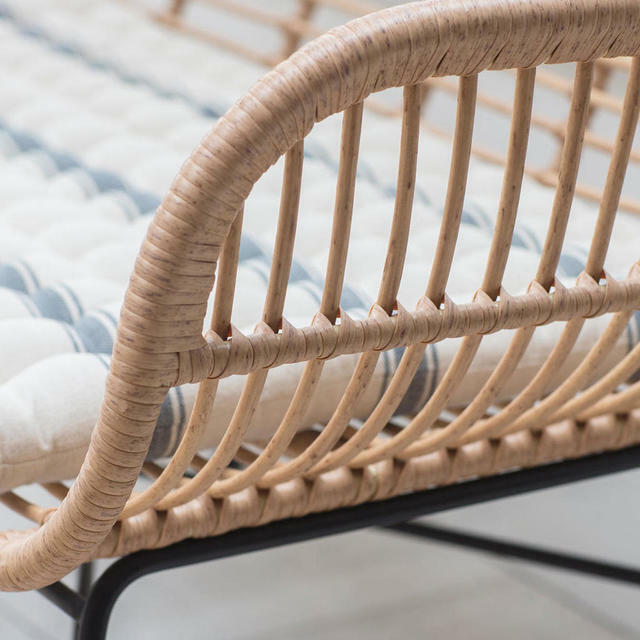 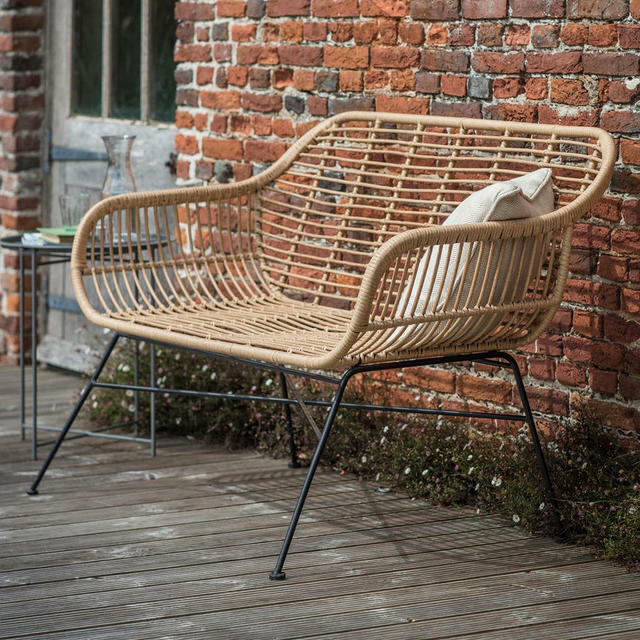 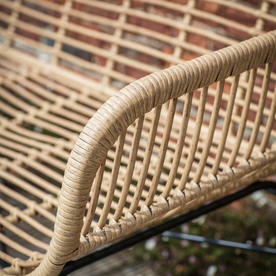 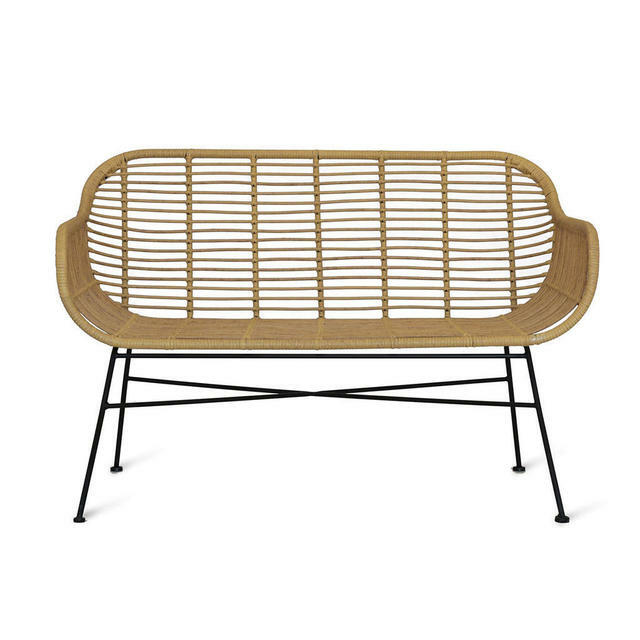 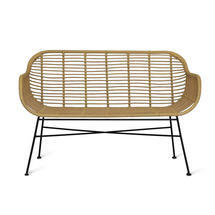 The bench has an intricately hand wrapped all-weather bamboo over a steel frame, which gives a delightful lightweight appearance. 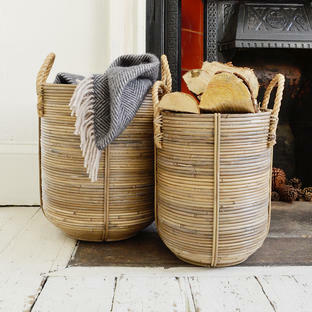 Seat pads can be bought separately to give extra comfort to the bench, in a neutral French style of ticking. We would advise covering the bench with all weather outdoor covers when not in use in the the winter or during long periods of cold or wet weather. 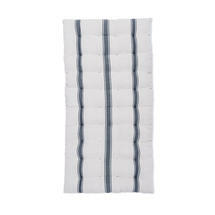 Natural100% Cotton with 3 charcoal stripes as pattern detail. 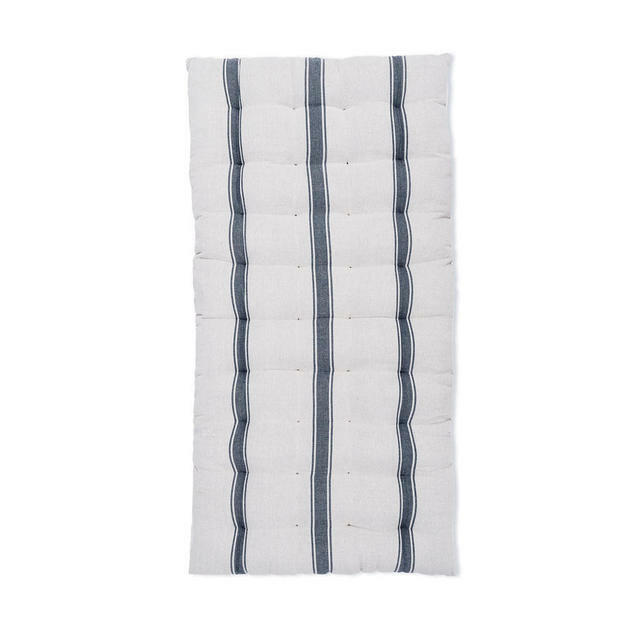 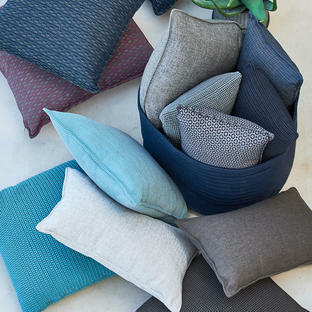 The seat pad comes without ties and includes a Polyfibre filling allowing the cushion to dry quickly after washing.